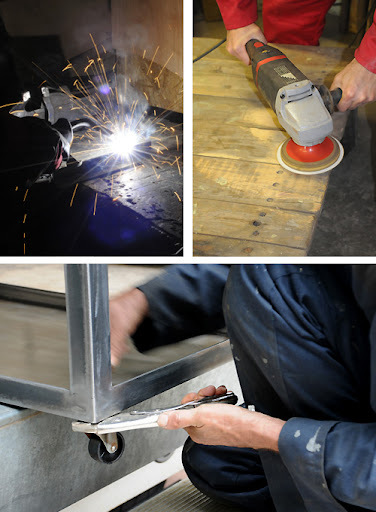 Our furniture and lighting comes to us from all over the world - the UK and further afield. 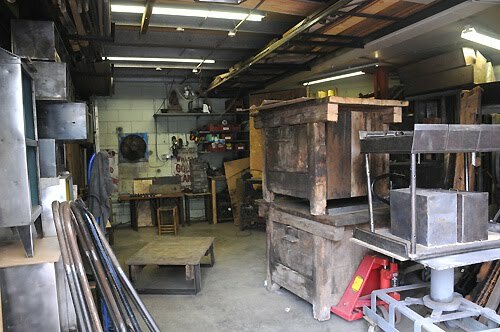 However all of the pieces that we sell are restored by hand in our own workshops in East London. Sometimes they are reimagined and other times simply restored in a sympathetic manner. We always try to let the integrity of the original piece shine through. 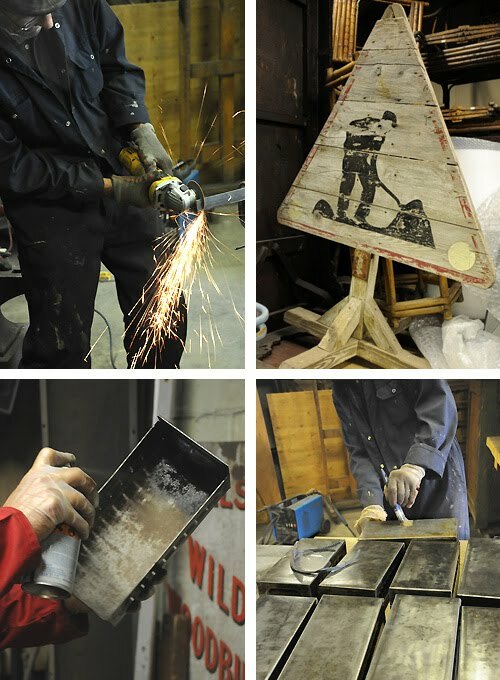 What goes on during a typical afternoon at the elemental atelier? Lots of tools buzzing doing several different jobs. Dirty, dusty, noisy and quite often smelly! It is not unusual for a single piece that is being restored to go through a dozen or more processes until we are happy with it. 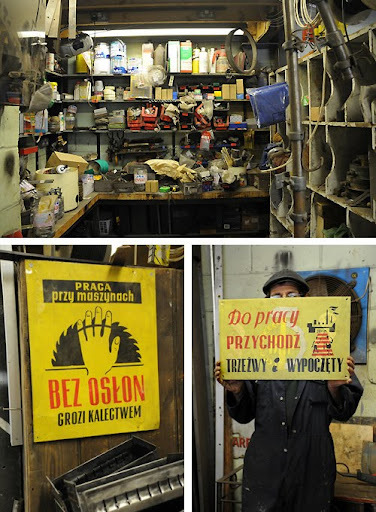 Thanks to Nick one of our men in Poland for the Polish health and safety signs. Our favourite is the 'don't go to work drunk' warning...as if we would!